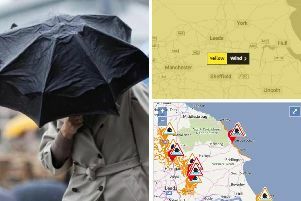 The Met Office has this morning upgraded its weather warnings for parts of Yorkshire as the much heralded Beast from the East blows in freezing temperatures and wintry showers from Siberia. Forecasters have now put in place some Amber Warnings - meaning you need to be prepared to change your plans and protect you, your family and community from the impacts of the severe weather - as Yorkshire prepares for what promises to be one of the coldest weeks on record. The Beast from the East is expected to bring in some serious snow across Yorkshire this week.